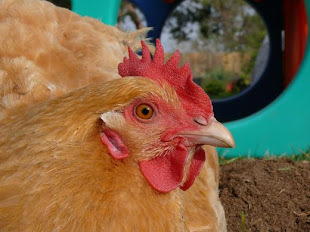 Just a typical weekend at home, and Tasha is up to her unusual antics. This one deserves a good caption. We'll pick our favorite for a prize! A Tisket, a Tasket, Tasha's got a basket! First thing I thought was: "Trick or Treat!!" "I heard the Easter Bunny would fill this with goodies for me"
Caption:? Look what the Easter bunny left last year. 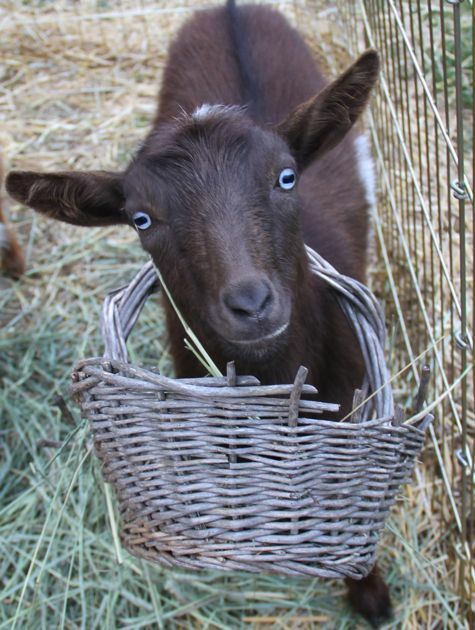 I think the goat looks surprised at how soon a lovely basket can turn into crapbeautiful decoration for the garden. What! I was just going to help!